While many people who face a variety of life challenges can thrive in a group home setting, this was not the right solution for David. 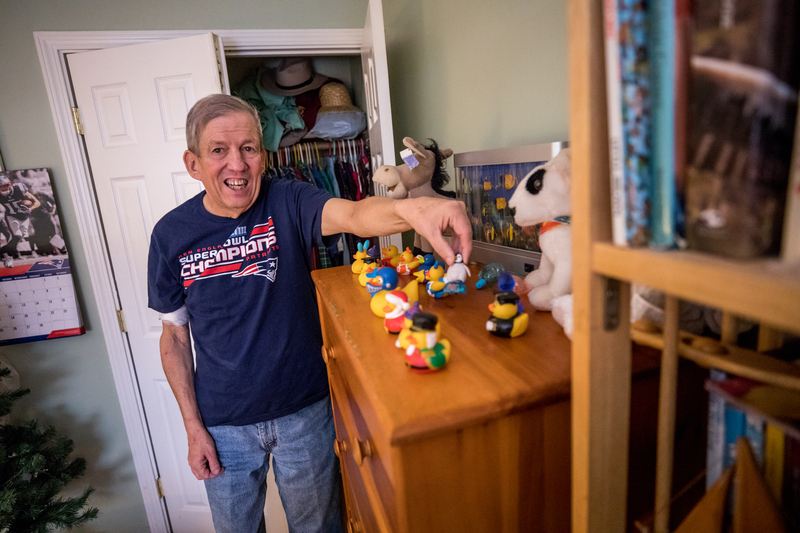 David has a lively personality—curious and funny—and he also lives with an intellectual disability, anxiety and stress, bipolar disorder, and other medical conditions. In 2000, David was living in an Advocates group home – but he wasn’t happy. Although he was already an adult, he behaved like a restless teenager. 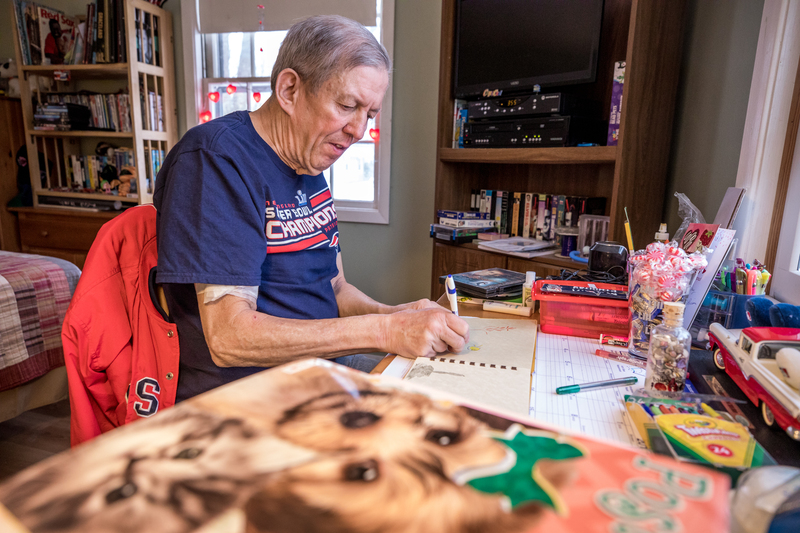 The staff at his group home could see that David needed a different environment and recommended that he try living in a family setting through the Advocates Shared Living program. That’s when David met Catherine. Catherine is a born caregiver—both personally and professionally. 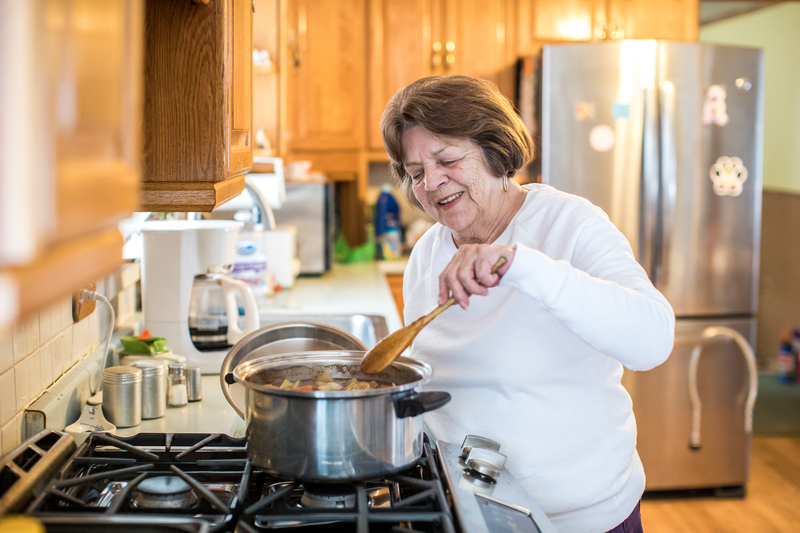 She cared for her mother, mother-in-law, and her husband when they had serious illnesses. She worked as a CNA at a prison and hospital and as a home health aide. In 2000, Catherine was working at an Advocates group home for women with disabilities and working closely with a group home for men. A co-worker knew of Catherine’s background as a caregiver and thought she would be a good fit to join Advocates Shared Living program. Although she was unsure at first, she decided to try it. That’s when Catherine met David. 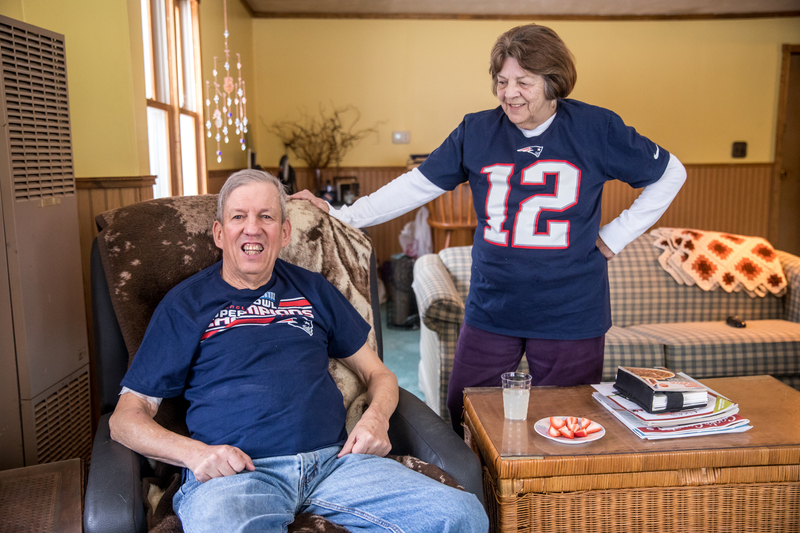 David began spending weekends at Catherine’s house getting to know her and her family better. His transition to living full-time with Catherine went smoothly at first. 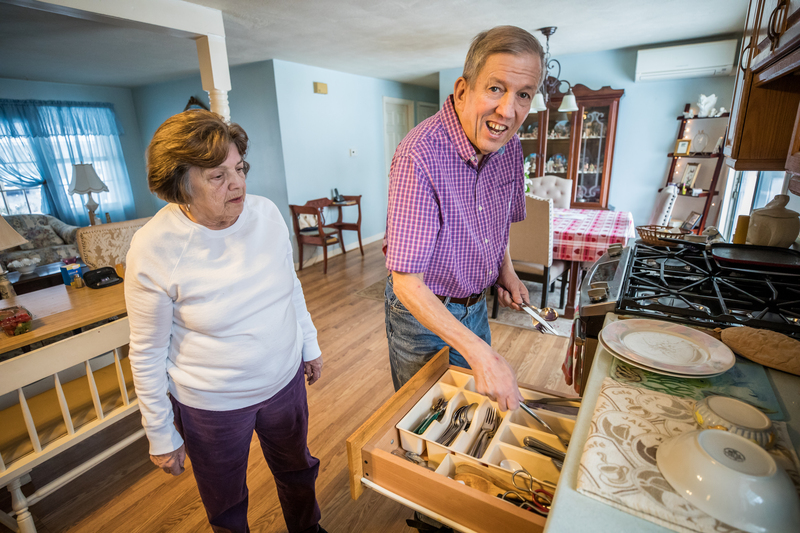 As David became more comfortable with his new caregiver and his new surroundings, he began to test Catherine with some of the challenging behaviors he had shown in his group home. As an adolescent does, David soon learned to accept the limits Catherine set for him. She started to implement positive behavior supports that ensured David would make better choices, and stayed consistent, something that she says is really important for David’s care. 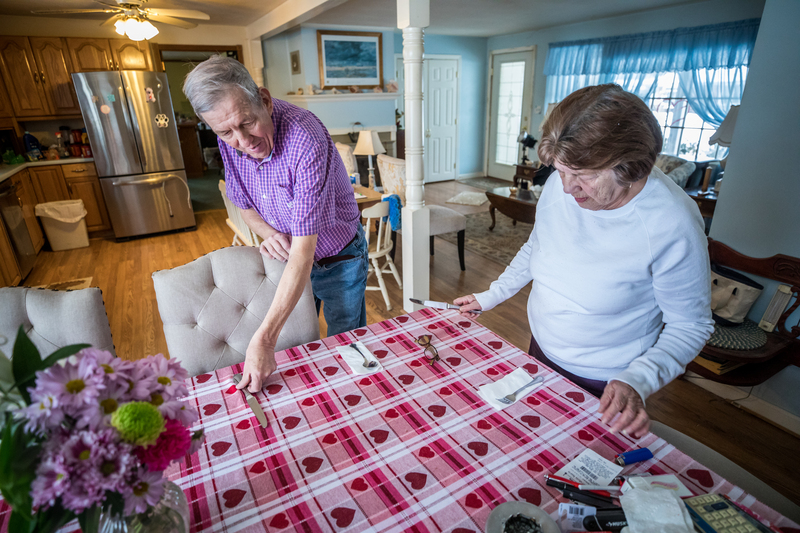 Catherine and David both settled into new lives in their shared home. Now that he doesn’t have to compete for the attention he needs, David’s personality really shines through – he has impeccable manners, a sense of humor, and is extremely talkative. David actively pursues his favorite hobbies and interests. He is an avid music listener, movie watcher, traveler, and sports fan. His favorite artists include The Beach Boys, Keith Urban, Garth Brooks – all of whom he’s seen in concert – and Elvis. David’s travels have brought him to New Hampshire, Foxwoods Resort, Maine, Cape Cod, and Graceland, Elvis’ home. His love for NASCAR and football brought him closer to Catherine’s daughters, who also enjoy those sports. “He really cares about me, my family, my grandchildren,” Catherine says warmly. 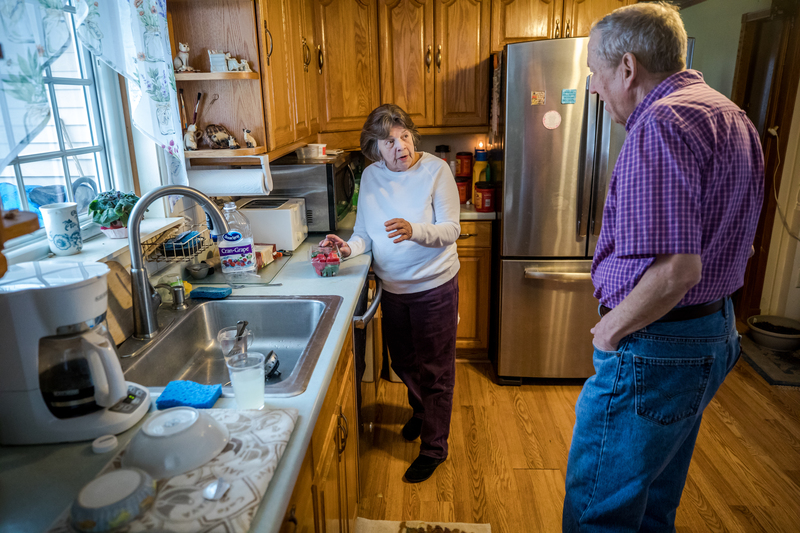 Catherine always makes sure David’s family is included – his sister and brother-in-law became part of her family, often joining in on Thanksgiving and other holiday celebrations. Family is very important to David. Every week, he talked to his father on the phone, and the two visited the Cape each summer to see The Beach Boys. David also travels frequently to see his sister in Maine. Although his health needs have become more complex, Catherine still ensures that David can visit family and stay active in the community. “Catherine is on top of [his health needs],” says Jaime, their Advocates case manager. If David is traveling, Catherine reschedules his medical appointments. If he needs to go to the hospital, Catherine calls Jaime and the AFC nursing staff right away. 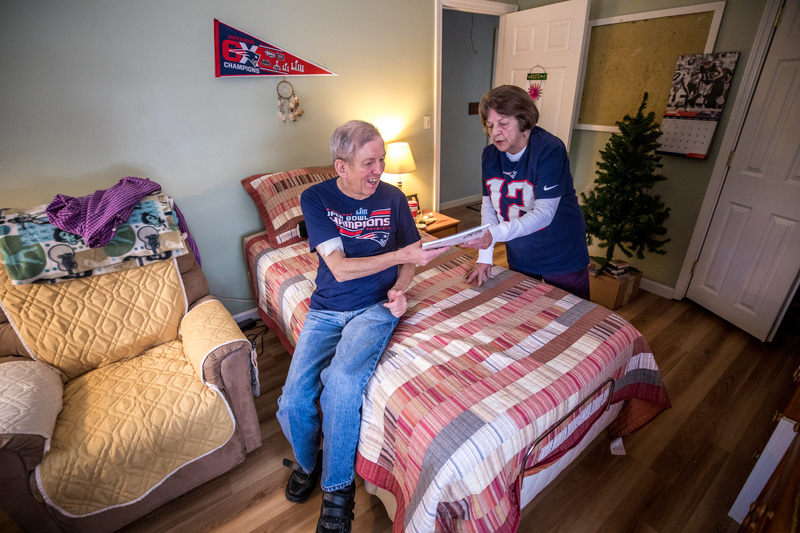 Her rigorous note-taking makes the monthly check-ins with AFC staff run smoothly – they never need to worry because Catherine goes above and beyond to ensure David’s happiness, even with his health challenges. The limitations don’t stop him from loving her cooking, though. “She’s a good cook, she’s nice,” David says. True to their relationship, David teases Catherine about her rules. Like a typical teenager, he says, “sometimes she’s mean,” before grinning mischievously. Anita Monestime, Director of Advocates AFC and Shared Living speaks very highly of the duo. “[David] and Catherine completely clicked. They’re amazing [together],” Anita said as she fondly remembered when she first met them 18 years ago. David and Catherine were the first of two groups to join the AFC program at Advocates in January of 2006. In 13 years, the program has grown; 450 families have chosen Advocates Adult Family Care for its culturally-sensitive and diverse staff, and round-the-clock support for caregivers. One simple thing is the driving force behind its success: people thrive at home. David is a prime example.